With the end of the ARMS Global Testpunch, the ARMS Online Sparring Open will be the next big event taking place in the world of ARMS. From June 16th, Nintendo will send an e-mail to ARMS players. The e-mail contains information about the preliminaries. The preliminaries will take place between June 16th to 24th 2017. The ranked matches results from each day will be added up and announced the day after. In other words, all players who participate in ranked matches are therefore participants of the preliminaries. After the preliminaries have ended, the top 12 outstanding players will be invited by Nintendo to take part in a collaboration. The top 12 players who have given their consent will participate in an ARMS tournament which will be streamed live on Youtube Live. The livestream will take place in the early July. 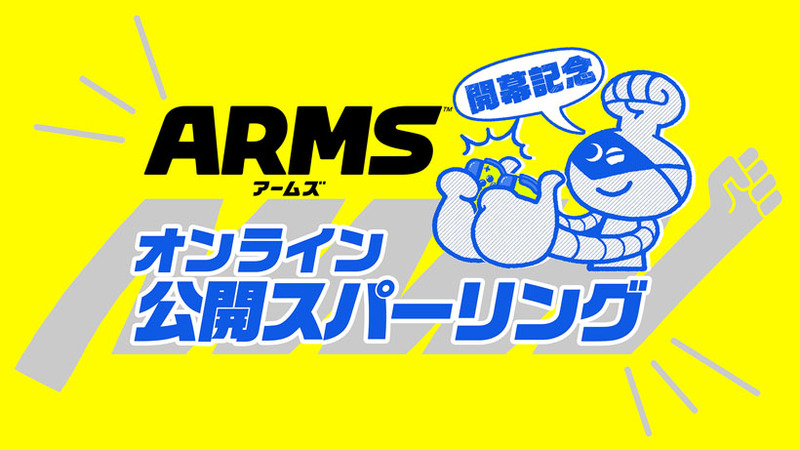 An event equivalent to the ARMS Online Sparring Open hasn’t been announced by Nintendo of America and Europe yet. But if there’s a similar event, will you take part?